When you arrive for your appointment, you will be greeted by our kind and friendly front office staff in a warm and homey environment. To make your visit more comfortable, we provide several amenities, including waiting room refreshments, blankets, pillows, comfortable chairs, music, and iPads filled with the latest TV shows and movies. As an added benefit, we provide nitrous oxide and oral conscious sedation for our patients who struggle with dental anxiety and phobia. Dr. Lee uses the latest dental technology, including DIAGNOdent, digital x-rays, cone beam scanners, and soft tissue lasers to ensure more comfortable care and accurate treatment planning. Because we understand dental emergencies happen and care is often needed after hours, we provide an after hours office number and emergency dental services to better serve our patients. At Smiles 4 Grant Park, we offer free initial consultations and affordable dental care through a variety of financing options. We believe everyone deserves quality dental care and we never want cost to prevent you from receiving the care you need. Under the care of Dr. Lee, she will provide honest feedback and straightforward recommendations that will treat both your short and long-term dental care. In addition to accepting cash and all major credit cards, we also accept Lending Club, American Healthcare Lending, and CareCredit to help you in budgeting and managing your treatment costs. 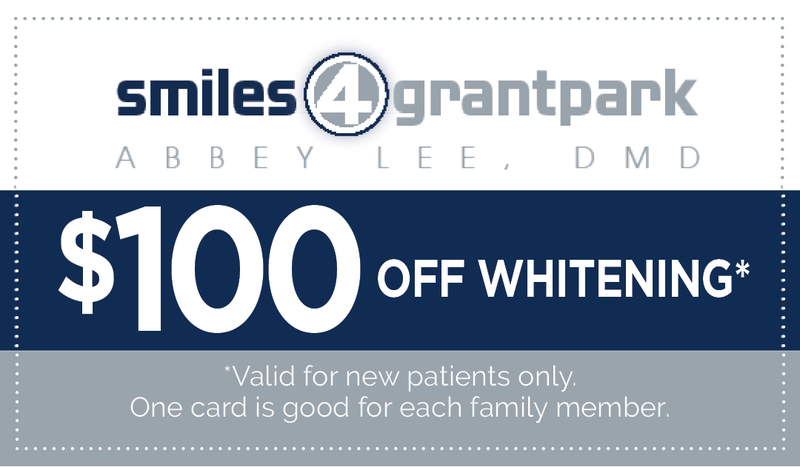 If you are interested in scheduling your free consultation and meeting the friendly staff at Smiles 4 Grant Park, contact us today online or by calling 404.328.7177. We look forward to meeting you and providing comprehensive care for you and your family for years to come.